Amazon.com currently has the Toro 51585 Power Sweep 7 Amp 2-Speed Electric Blower priced at only $23.19 (that's more than 50% off)!! 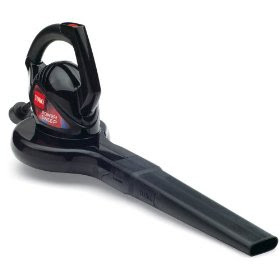 This is a great blower for clearing leaves and debris from sidewalks, decks and driveways; generates powerful air speed of 160 mph. It is very easy to use and is very lightweight - only 4.6 pounds. Covered by a 2-year full warranty. This blower is also rated 4 1/2 stars and qualifies for Amazon prime!